These REAL 1-Moose Tooth necklaces hang on a 40" cow leather strap with wooden beads and a real moose tooth. The hanging length of the necklace is 21". Genus and species of Moose tooth: Alces alces. Wild. Genus and species of Cow leather: Bos taurus. Ranch. Moose and Cow are not endangered animals and are not subject to CITES controls. 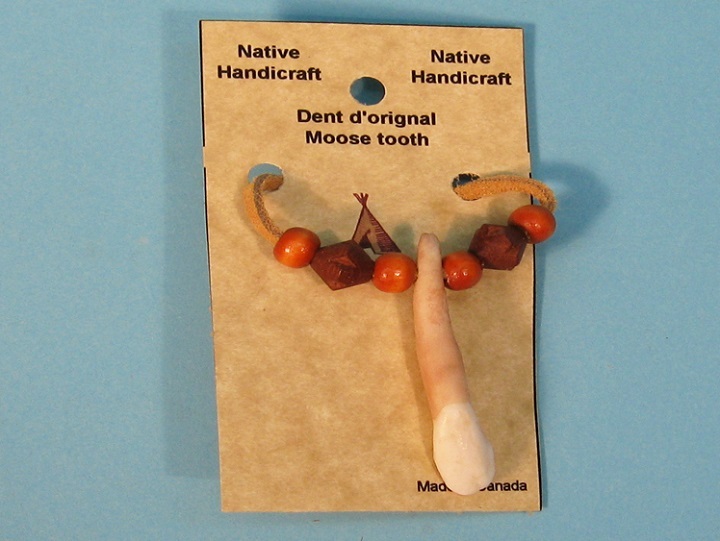 These teeth come from moose that have been hunted in Canada. The meat from the animals is generally saved. The animals were not killed just for their teeth.